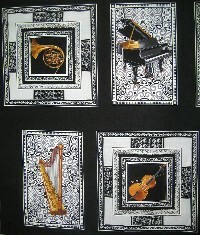 Music theme, for the music lover in your life. Must be ordered in .67 yd increment. This is one panel.